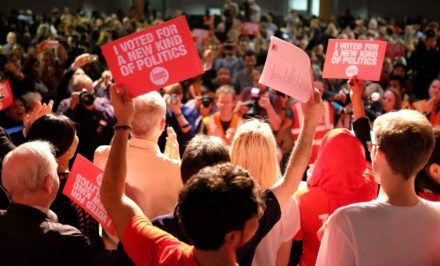 The introduction of one-member-one-vote was a crucial step towards democratising Labour’s leadership process, giving every member – regardless of whether they are an MP, a councillor or a grassroots activist – an equal say in who leads the party. Following on from this it is essential that party members get a good range of candidates to vote for in Labour leadership elections. Many of us will remember the hurry in summer 2015 to get 35 nominations for Jeremy Corbyn, banking on nominations from sceptical MPs who were willing to broaden the debate. This requirement that an MP is nominated by 15 per cent of the parliamentary Labour Party (PLP) is an increase on the previous requirement of 12.5 per cent, which was raised as a result of the Collins Review. It’s worth noting that one of the architects of the review saw raising the threshold as a method for excluding “outsider” candidates like Jeremy Corbyn. Members increasingly feel that we have earned the trust and responsibility to have our own say on a broad range of candidates and that this would be good for both pluralism and democracy. Maintaining the current threshold is not about ensuring party unity but instead about keeping underdog candidates off the ballot. Imagine the outrage if the most popular candidate in a leadership contest was barred from standing. In 2007 Gordon Brown ascended to the leadership unopposed, denying both members and the public a healthy contest on the future of the government. Labour’s historic mission has always involved pursuing and strengthening democracy, and we must seek to build a party which leads the way in grassroots democracy, leading by example. This is why it is necessary for delegates from across the country to have a robust debate on conference floor about the nomination process and for the argument on lowering the threshold for nominations to be heard. This change, erroneously called the McDonnell amendment – despite the fact the idea was neither conceived of by John McDonnell or written by him – would help to further democratise party leadership contests. If we want to build a more democratic society we will have to start by strengthening democracy in our own party. Labour members have proven they can be trusted, having twice chosen a leader who this year led the party to its biggest surge in votes since World War II. We’ve made it clear that we have the right to try and redress the balance. Lowering the threshold for nominations would be a significant display of trust in Labour’s rank and file, and would ensure that there is a healthy balance between the members and our parliamentarians. Lowering the threshold is a key aspect of the party reform which we need in order to build a truly grassroots party. Lola May is a Momentum activist and first-time conference delegate from London.